The classic Gulet, best known for its rounded aft, low-to-the-water profile and roomy hull, was once used by fisherman and sponge divers to transport their catch. These days, Gulets are associated primarily with charter and various designs have emerged, all of which come under the collective description of wooden Gulet. The original Gulet has the rounded aft, but as this design limits the number of cabins which can be built in, the ”Ayna Kıc” (flat-backed) style of Gulet is becoming increasingly popular as a charter vessel. The form of the gulet has been moulded with tradition and 20th century classic naval architecture. The name derives from the French goelette meaning schooner, but today's boats are usually rigged as ketches. Lengths of these boats vary from 19 m to 50 m. There is a forward deck, ideal for sunning and at the rear a generous afterdeck. 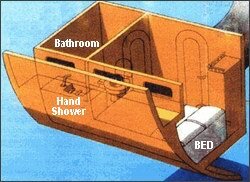 Belowdecks, the accommodations are comfortable. There are four to six cabins with double beds and ensuite WC' s and shower. The beauty of the "Gulet" lies not in its shape nor in its speed (10 knots at best), but in the leisured freedom it grants. Good sailing, good food, and friendly company surrounded by nature in a serene atmosphere - that is what chartered sailing is all about. A sailing holiday aboard a gulet appeals to all age groups. It can be as relaxing or as energetic an experience as desired. You may leave everything to the skipper and crew or choose to join in the running of the boat. You may do your own shopping for meals if you prefer. The crew will still cook for you unless you wish to prepare a special dish for your party. One day you may decide to read a book while sipping a drink and sunning on deck. A more active day may incl ude windsurfing, fishing or when the yacht is at anchor in a beautiful cove, hiking in the woodsor swimming and snorkeling amid schools of fish and ancient underwater ruins. While docked you may wish to spend the morning touring a nearby ancient city or have a special shore evening in town or in a Turkish village. There's no need for you to be an experienced yachtsman. Your captain and crew are experienced seafarers, usually local Turkish people, who know the cruising grounds in and out and will share their knowledge, skill and local lore with you. In addition to running the sails safely and according to the itinerary you have chosen, they are prepared to assist and pamper you in every way, from suggesting suitable anchorages and arranging shore excursions to serving you cocktails and three delicious meals a day. You are in charge of choosing the dream voyage you desire for your party! Gulets are traditional Turkish wooden sailing-motor yachts with a distinctive pointed fore and rounded aft. Discover Turkey's Turquoise Coast for the ultimate relaxing holiday. Set sail on board a gulet, and you will spend your holidays soaking up endless sunshine, visiting ancient sites, napping, reading or playing backgammon, swimming and snor keling in crystal-clear azure water. This is the perfect holiday escape experience - one that you will definitely want to repeat. 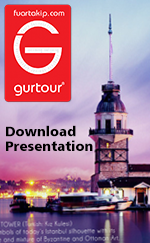 Cruise to the bays and islands along the coastline of Fethiye, Göcek, Marmaris, Kekova, Bodrum and Antalya. These are the most beautiful, most tranquil and most natural cruising areas to be found along the Turquoise Coast. For individuals or smaller groups who want to join a gulet cruise without chartering the whole boat, we arrange cruises on set routes for mixed groups starting from 3 daysup to 7 days. The Aegean, sea of many a green. It is sea of love and wine. Merge with it into the history. Art thou not feeling cool!? The sea is calm, the sea is tranquil. Dreams have never been this real. Ever heard the mermaids sing or tried to catch a falling star?Time is at hand now. First of all do not forget to bring your cameras!.. This is a paradise where blues, greens, oranges, turquoises, crimsons, cericés, scarlets, lilacs, magnolias and thousands of others merge in perfect harmony. You might find out your lost connection into your past past lives here. A pleasurable one amidst the two seas of Meditarrenean and Aegean. Your swimming suit of course. A pair of sports shoes would be nice...You might wish to brin g hiking shoes if it is your wish that you want to do some light climbing and hiking. A few T-Shirts and shorts would definetely needed. At nights it might be chilly sometimes therefore do have a sweater with you. For a comfortable walk on our boats you might also wish to bring rubber slippers. Make sure you get a lot of sun while on the Blue Cruise, therefore sun cream and sun glasses are highly recommended. We do carry some, but if you like diving or staying in the water for a long time, and use your own personal equipments then do bring your masks, snorkels and fins with you, however, you can buy them here in local stores for very inexpensive prices as well. Books... You would not want to be without them anyway, would you? If there are particular tapes you wish to play and share with other travelers, do bring them too.